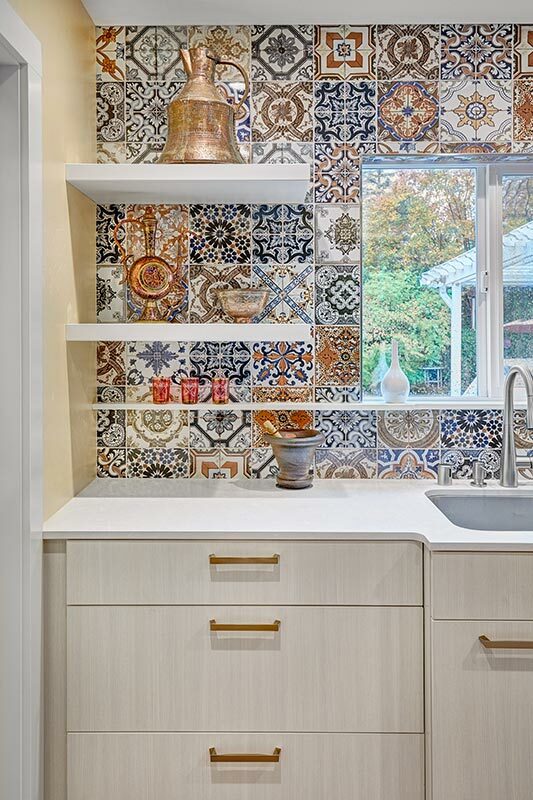 Sacramento modern Marrakesh inspired kitchen. This petite kitchen was previously closed off from the dining and living room. 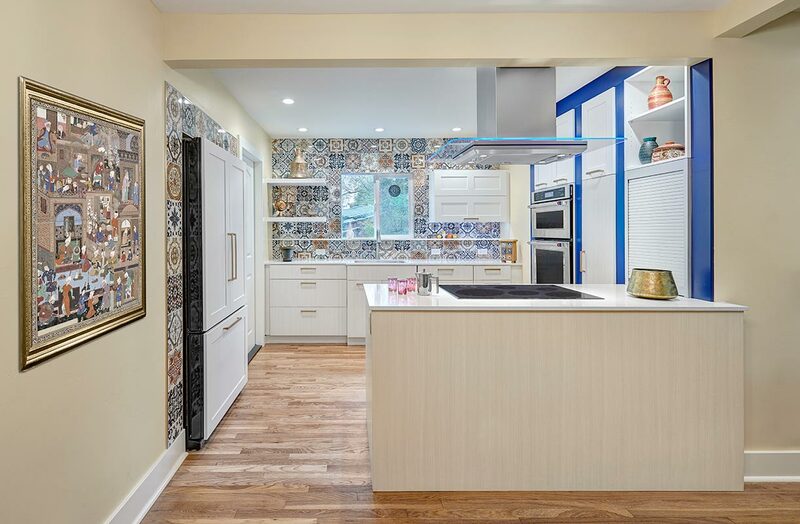 The compact size of the kitchen made it difficult for the client to host their large family gatherings. With the new design, the spaces were joined by removing the wall between the kitchen and dining room. 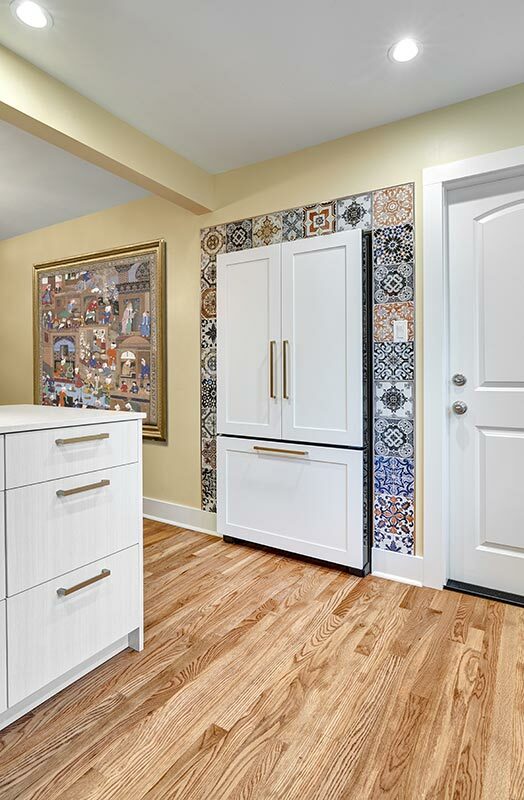 The space of the kitchen was optimized by recessing items into adjacent walls. The refrigerator was recessed into the wall of the adjacent garage. The ovens, pantry, and appliance garage were recessed into the wall, borrowing a few square feet from the bedroom closet and living room. The finishes throughout the kitchen celebrate the clients love of travel and collection of keepsakes from around the world. 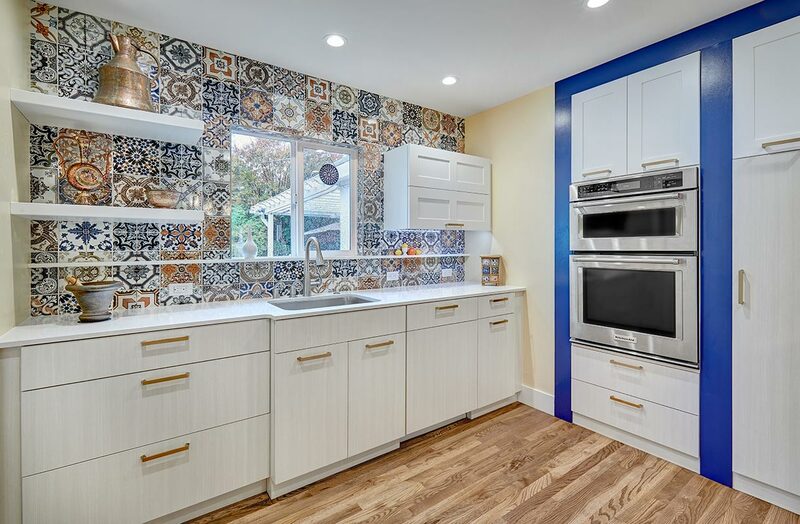 The mosaic printed tiles on the backsplash and refrigerator wrap bring an eclectic mix of encaustic tile designs from around the world.